Yes, it's an old fake. (Well, old in internet terms.) Plausible and amusing enough to keep doing the rounds. I don't see how this has anything to do with the serial comma. Doesn't everyone agree that a comma is needed between the words *not* concatenated with "and"? Is "Eat, Ray, Love" authentic? Cf. The recent "Eat, bray, love: amorous donkey couple reunited after protests at separation". My favorite is the Penzey's Spices saying: "Love people. Cook them tasty food." 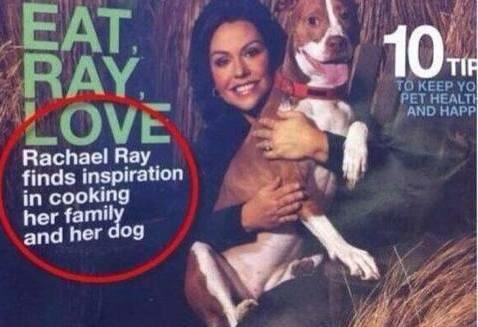 Adding one comma makes that a VERY different statement similar to the "Eats shoots and leaves" statement. Anyone else remember Swann & Flanders? "If the Juju meant us not to eat people, He wouldn't have made us of meat." "It's a fake, and an old one. I should have checked. But the point stands…"
just admit that you were wrong and move on. who cares if 'the point still stands'? "I won't eat people, eating people is wrong"
English speakers keep arguing about whether or not the serial comma should be required; but I come from a language whose orthography mandates non-serial comma, & I very much enjoy the fact that in English I can choose on a case-by-case basis. I regard the serial comma as something to always use to avoid ambiguity, and otherwise treat it as a transcription issue; I use it if the speaker's rhythm (or the intended reading) indicates a short pause, and don't use it if it doesn't. Editors have sometimes asked me if I'm being inconsistent about it, but generally have agreed with me that it's helping communicate character personalities when I point out that outside of quotations, I always use one, and inside quotations, each character I write is self-consistent. This all happens because I listen to people. I don't go so far as to misspell words for "eye dialect" effect, but different people arrange their thoughts differently, structure their sentences differently, use regional vocabulary, and speak with different rhythm. When I'm writing dialog, I try to reproduce that.